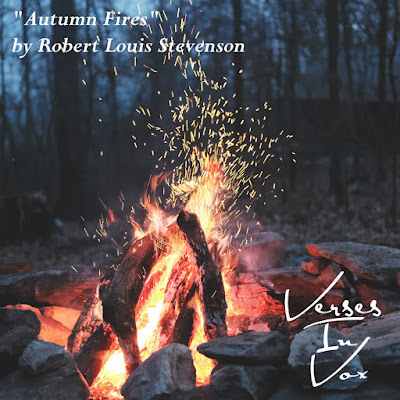 "Autumn Fires" was first published in 1885 in a volume titled Penny Whistles which contained over 60 poems, including "My Shadow", "The Lamplighter", and "The Land of Story-books". The collection was later re-titled A Child’s Garden of Verses and has been reprinted many times. 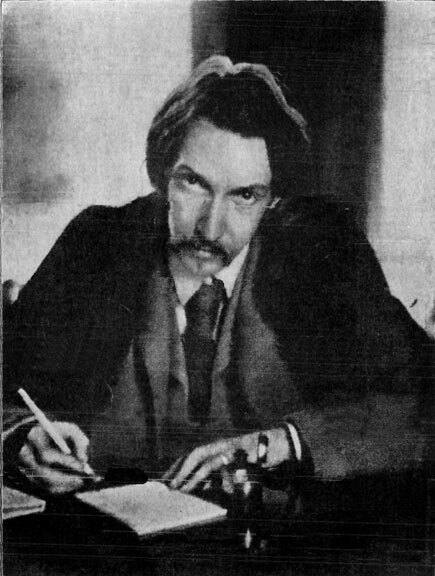 Robert Louis Stevenson is, of course, well-known for his short stories and novels, such as the pirate adventure story, Treasure Island, which was published two years prior to the aforementioned poetry collection. A high-quality scan of the page containing this poem from a volume of A Child's Garden Of Verses courtesy of The Internet Archive. You can download a copy or view the book in a browser here.